On the eve of their Blues & Bayous tour launch, John Fogerty and Billy F Gibbons of ZZ Top, have joined together on a new song! 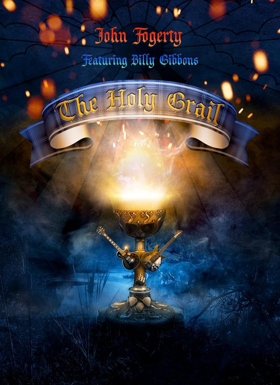 "Holy Grail" was written by Fogerty and features the distinctive guitar licks and additional vocals from the Reverend himself. Of the song, Fogerty remarked, "I am so happy to be playin' and singin' with the Reverend BFG. That Sharp Dressed Man, himself. This is the Holy Grail!" While Billy F Gibbons says, "It's not an overstatement to say that writing a song with John Fogerty is a genuine bonus! It's fair to say that John and I are both pumped about our collaboration and we think this new one called "Holy Grail" holds true with some great storytelling and some solid guitarists movin' the number right along. It begs a shout of, 'Turn it up!'"